The importance of having - and following - classroom rules is hardly new to even the youngest student. By the time a youngster comes to kindergarten, he or she has already learned that certain behaviors are acceptable and that others... aren't. Having read (or been read to) about behavior and the need for rules, students are ready to process their understanding collaboratively. 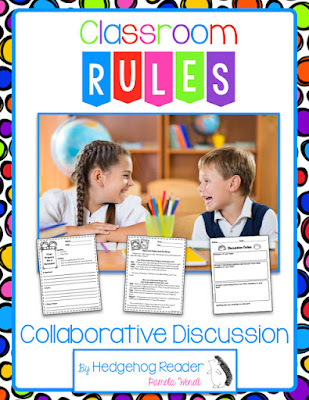 Your students will practice effective standards-based collaborative discussion with this valuable freebie resource!